In order to deliver high quality dental restorations that meet dentists’ expectations, the dental laboratory requires an efficient logistics team to deliver dental restorations on time and with the proper requirements determined by the doctor. The logistics department is one of the most important aspects of Iverson Dental Labs, because it manages and tracks dental cases throughout the entire manufacturing process. Assuring the location of the case and its detailed information are always available for quick reference, because we understand how valuable your time is. When dentists are considering a new dental lab—according to an article by Lauren Burns “Why dentists are changing laboratories”— high quality work, great communication, and reasonable prices were the three most frequent traits they look for1. Dentists also expect “an easy interpersonal relationship, fast turnaround time, range of services, proximity of lab to the dental office, and the availability of cutting-edge technology as major influencers”1. Logistics within the dental lab plays a major role in fulfilling most of the requirements listed above. 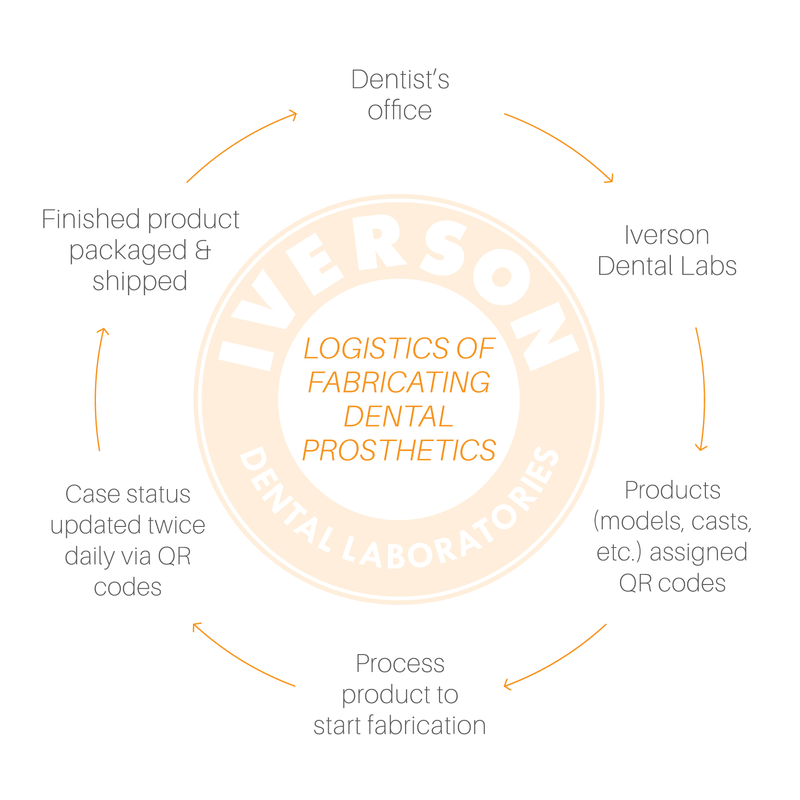 At Iverson dental laboratory, each dental lab product that is received is provided with a unique QR code that can be accessed through the “Iverson dashboard” – our logistics management system. With these QR codes, it has advanced our method of case status communication between our office and the dentist. 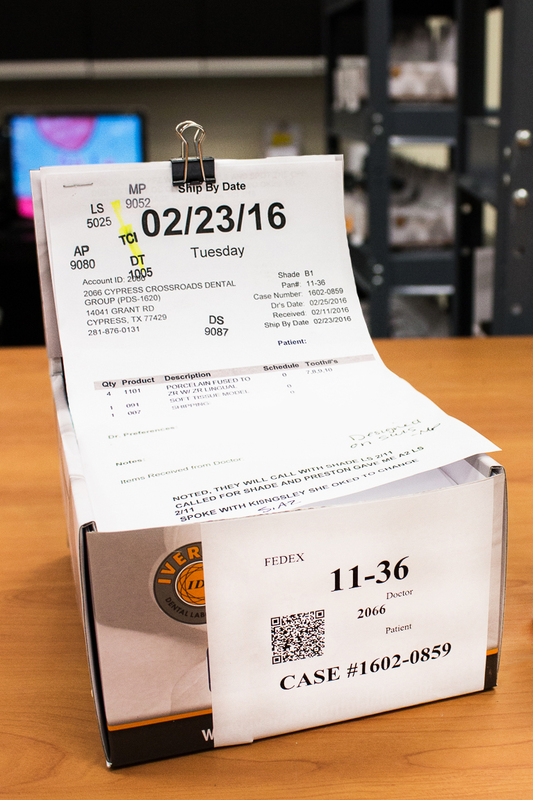 Each QR code contains detailed information about each specific case which includes case location, call history, dentists’ preferences, billing and shipping information. 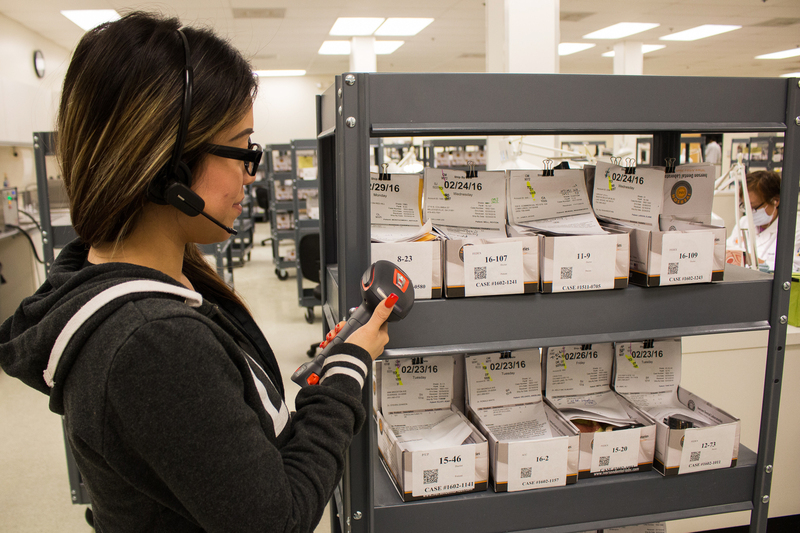 As we scan our lab cases twice daily, we are able to keep account of each product and its status in the production line. This prevents misplacing dental prostheses and helps us to maintain our average 5-day in-lab turnaround time. All employees are required to properly document every phone call and update that specific case history within the Iverson Dashboard. All department managers receive an email notification every time a case is updated, so everyone is on the same page. Having an organized and productive logistics department helps establish easy interpersonal relationships with our dentist-clients and to ensure we are fabricating the prescribed dental restoration. 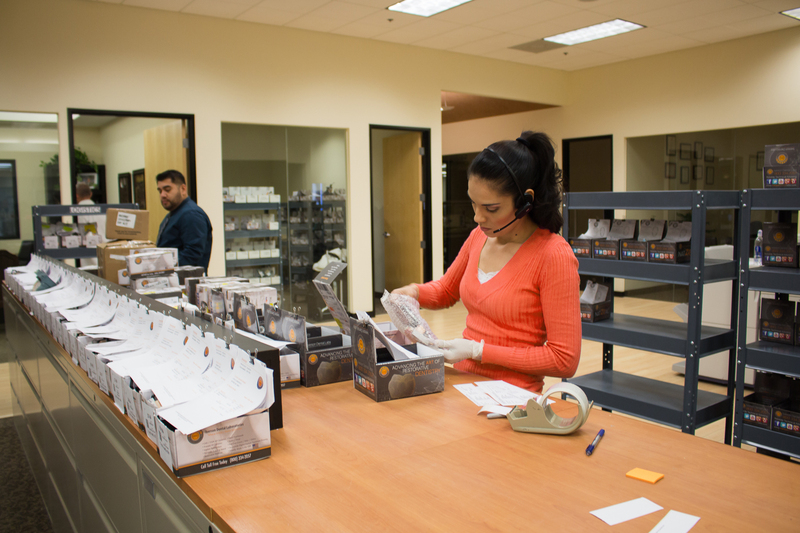 Having an efficient logistic department helps us to fulfill our commitment to deliver high quality dental lab products, and build trustworthy relationships with our dentists.